An example of Hawaii’s dim sum, manapua. What’s manapua? Well it’s Hawaii’s dim sum. Manapua tastes somewhat like Chinese dim sum. But it has a somewhat different taste. To some it’s a meatier and fuller version of Chinese dim sum. People in Hawaii also serve it in a manner quite different from traditional Chinese dim sum. 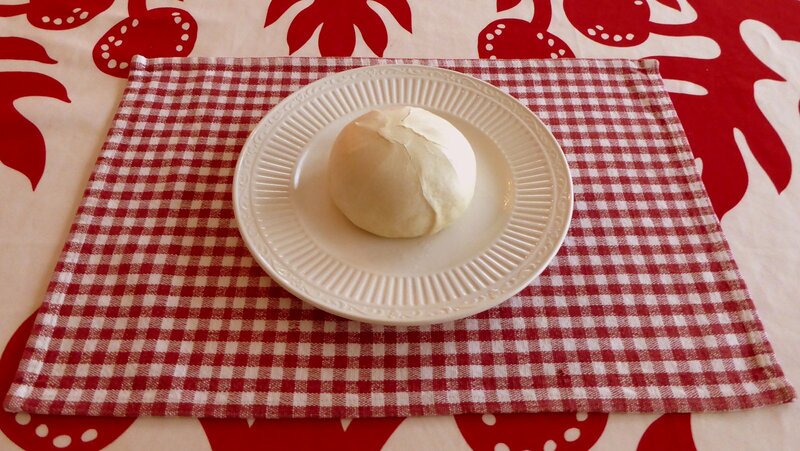 Typically, manapua is a steamed pork-filled bun. If we were in China, some would generally refer to it as char sui bao. But manapua could also include other types of dim sum dishes. In Hawaii, this would include pork hash (sui mai), pepeiao (fun guo), half moon (gok jai) as well as rice cake (bak tongoh). Older residents of Hawaii can remember the days when the friendly neighborhood manapua man would come by your house. He would carry two large metal cans, each balanced on the ends of a long wooden pole. The manapua man would carry the stick on the backside of his neck. Those were the days. The iconic manapua man would walk down your street. He would shout out the words, “manapua, pepeiao, manapua pepeiao!” This would always get your attention. After this, he would you sell you fresh manapua that was still warm from his covered metal cans. Unfortunately today, the colorful manapua man no longer sells manapua. But you can still get manapua at various mom and pop establishments throughout the state. Hawaii’s dim sum, manapua, remains a favorite among local people. Many office workers buy them for meetings and breakfasts similar to how people buy doughnuts on the mainland. Char Hung Sut and Royal Kitchen are some of the more popular manapua places in downtown Honolulu. There’s also Libby’s in the Kalihi area of Honolulu. We encourage you to try them for an early morning treat in the Aloha State.